Well, after months of trailing Vancouver, Toronto is now the most expensive Canadian city when it comes to rent. 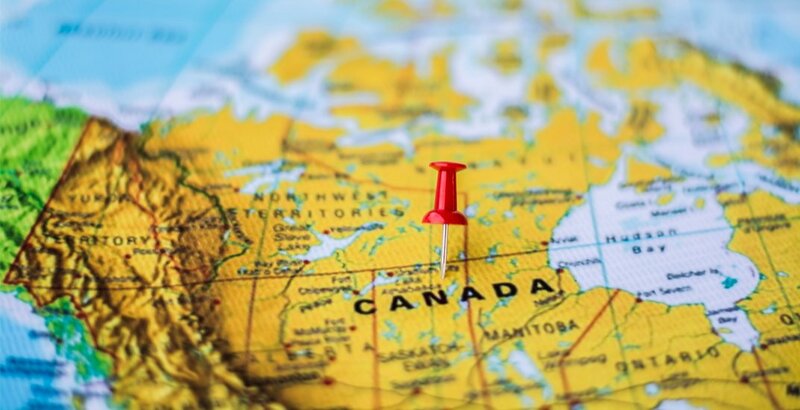 Toronto was also the city that experienced the most notable spike in rent this month for its one bedrooms, according to the latest report by PadMapper. Just like the end of 2017, Vancouver and Toronto dominated the top two positions as the most expensive rental markets in Canada. Toronto is basically owning the market, with both one and two bedroom rent in the city up around 15% since this time last year. Officially outpacing Vancouver this month, one bedrooms grew 2.5% to $2,020, and two bedroom prices saw a similar jump, increasing 2.4% to $2,520. 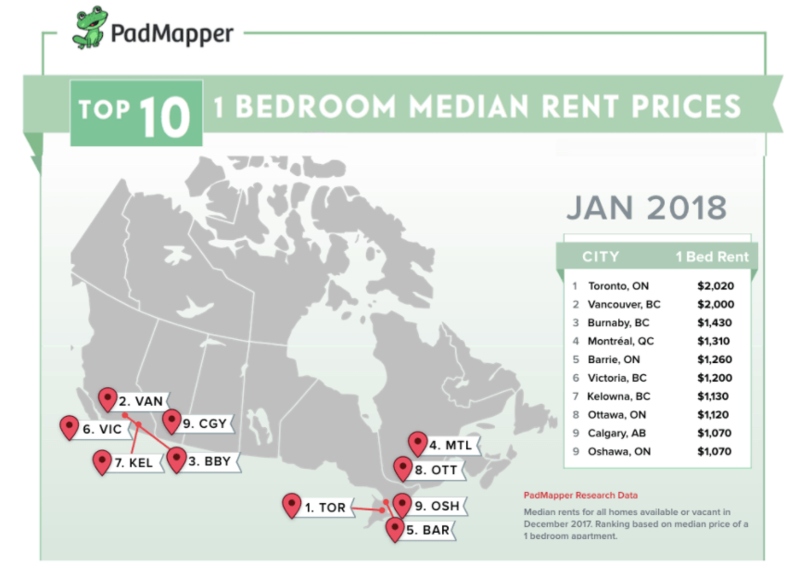 Just $20 under Toronto’s one bedroom average, Vancouver comes in at second place “for the first time ever” according to PadMapper. The BC city has one and two bedrooms settling at $2,000 and $3,200, respectively. A new addition to the annual monthly rent report is Burnaby, BC. “We realized this large city has been missing from our previous reports so we have now added it and will continue to update on it in the coming months,” states PadMapper. This month, one bedrooms in Burnaby are at $1,430, while two bedrooms are priced at $2,150. One bedroom rent prices are up over 15% since this time last year. Montreal comes in at fourth, with rent continuing to increase. This month, one bedrooms went up 3.1% to $1,310 and two bedrooms increased 2.6% to $1,580. Back in Ontario for the fifth spot, where Barrie sits with its one bedroom prices down a slight 0.8% to $1,260. Two bedrooms saw an even bigger downward trend, falling 2.4% to $1,610. At this rate, Barrie may not make the top five next month. 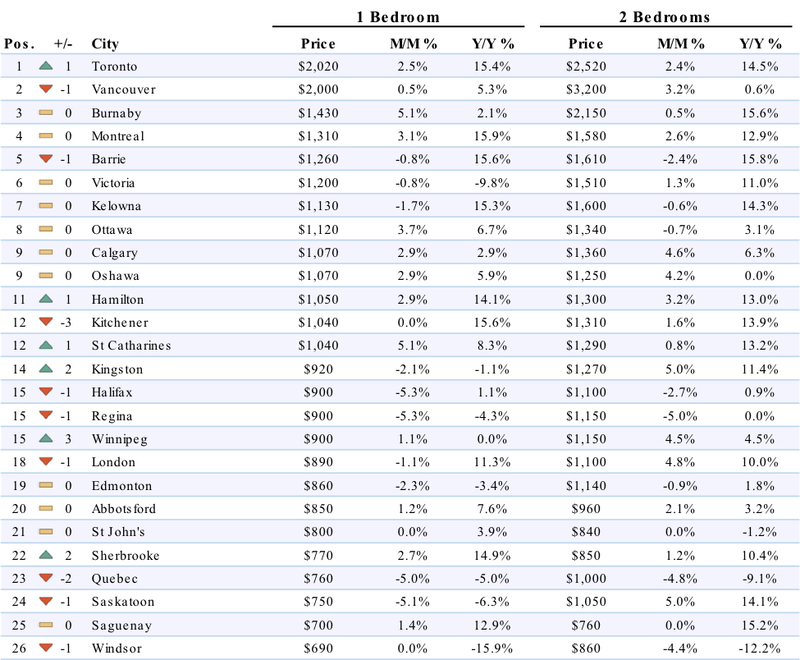 Calgary and Oshawa, ON, tied for 9th place this month, where both one bedrooms cost $1,070. And once again, the cheapest city to rent on the list is Windsor, Ontario, where the cost for a one bedroom is $690.